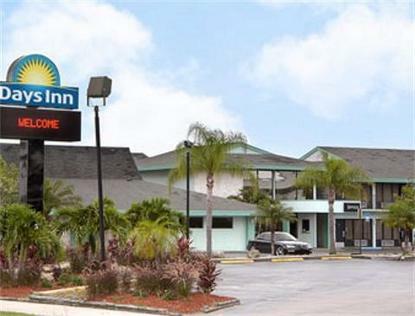 Welcome to the Days Inn Homestead, gateway to the Florida Keys Located just 2 miles from the Coral Castle and just 5 miles from the Homestead Airforce Reserve Base. In addition, we are 15 miles to Everglades National Park, 7 miles to Biscayne National Park. The Atlantic Ocean is just 7 miles away. Looking to relax and unwind? Why not spend some time by our outdoor pool in a relaxing atmosphere. Also, join us for nightly entertainment (Tuesday through Saturday) at the Peachtree Lounge and Grill, located inside the hotel. If you feel like venturing outside the hotel there are many restaurants within a one mile radius, something to satisify every tast. In case you have some business to take care of, we also have FREE wireless highspeed internet access throughout the hotel. Our guest rooms are comfortably furnished and there are Refrigerators in ALL rooms. Microwaves available upon request. Plenty of free parking is available, and we also provide a free expanded continental breakfast. Our friendly staff speaks Spanish, French and German, and we take great pride to ensure your visit is an enjoyable one. Here, there are plenty of attractions to find under the sun, and we look forward to welcoming you to our little piece of paradise. Sorry, pets are not allowed.